Sustainable Queen Anne’s primary focus in 2013 is helping with the Queen Anne Greenway Project. The first big event – and we need your help! – is an evening assessment of the public stairs in Queen Anne. The goal of this assessment is to determine areas that are not adequately lit as well as areas in disrepair or in overgrown condition. There are some areas that are, quite frankly, not great. And these public stairs are a treasured part of our neighborhood and a vital part of traverses to buses, schools or stores. Please come be part of a small team as we do the Queen Anne Greenways Stairway Audit Walk. The group will use the audit results to present our neighborhood’s needs to the Seattle Department of Transportation, to ensure safe routes all over the neighborhood. We will divide up the neighborhood in sections and you can select a starting point near your home. It will be fun and a great way to meet your neighbors. In 2012, Sustainable Queen Anne worked on an energy project. Homeowners who participated could save thousands of dollars off the cost of their energy efficiency upgrades through a combination of local utility rebates and special limited-time incentives. 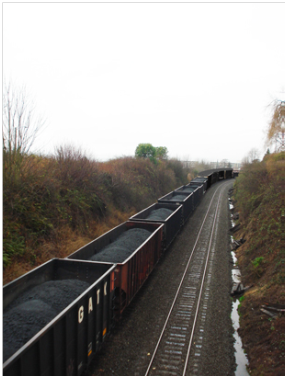 What are the risks if the largest coal company in the world - Peabody Coal - is allowed to transport up to 48 million tons of coal through Seattle on rail to send to Asia? What: Coal Hard Truth Forum cohosted by Sustainable Queen Anne in July 2012. If you have any suggestions or comments please email Heather at heatrim@gmail.com. Major thanks to the survey team for formulating and implementing the survey and producing the survey results report! Solarize Queen Anne: big success! Solarize Queen Anne was a neighborhood effort designed to bring solar energy to Queen Anne homes (including multifamily buildings), wherein interested neighbors came together to enjoy significant savings through the bulk purchase of solar electric panels. 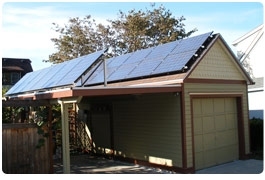 The project resulted in 31 new solar installations in Queen Anne. Previously there had been 6 in the neighborhood. Benefits of the program included creation of local green jobs, reduction of your utility bill, and reduction of carbon emissions. This project was intended to follow the successes of a similar model implemented in Portland last year, which has so far quadrupled Portland's residential solar installations and helped to bring down solar prices throughout Oregon. Other neighborhoods in Seattle are replicating the project, using Sustainable Queen Anne's model: Magnolia and NE Seattle. We are forgoing separate meetings in 2013 and instead are directing members to come to our Seattle Greenway meetings. These meetings are held the 4th Tuesday of each month. Please contact us for specific location as it moves around.